Imagine not being able to read your child’s report card, fill out a job application or decipher a bus schedule. Thirty six million Americans lack functional literacy and the skills necessary to successfully navigate everyday life. Traditional interventions – classroom-based learning, one-on-one tutoring, off the shelf and online options – are reaching less than 5% of those in need. What’s missing? A solution that meets learners where they are at. Since 2011, Cell-Ed designs courses and technology solutions in direct response to low literate, low income learners who we consider the most resourceful and dynamic members of our communities. Cell-Ed is the only education technology provider to deliver effective instruction over any type of mobile phone. Our engaging, culturally appropriate curriculum is delivered in bite-sized lessons (less than 3 minute at a time) allowing our learners to make progress anywhere they are at any time of day. Our trained coaches supplement the learning through live calls and personalized texts. This approach works. 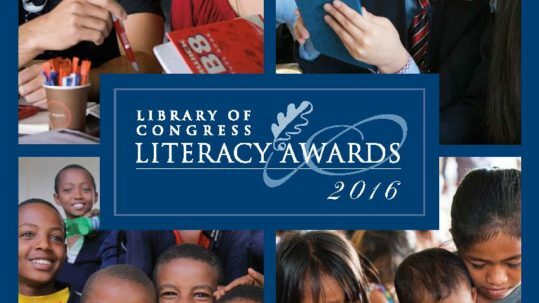 Cell-Ed recently received a Best Practice Award from the Library of Congress on our methods for bridging learning divides with a mobile phone option that does not require internet or a data plan. This award is dedicated to our learners, as we are humbled every day by what they teach us about the challenges they face as low literate, low income Americans. They inform what we build and how we improve. In partnership with learners, we hope to reach millions with the tools and skills they are asking for.